The 2015/2016 Simple-Talk Awards – I Won my Category! Huge thanks to everyone who voted for my Continuous Delivery with TFS / VSTS – Configuring a Basic CI Build with Team Foundation Build 2015 blog post which was nominated in The 2015/2016 Simple-Talk Awards in the The most useful technical article published category. I'm thrilled to say that I won my category! Once again many thanks to everyone who voted for me and congratulations to all the other winners and nominees. The 2015/2016 Simple-Talk Awards – I’ve Been Nominated! 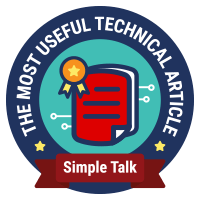 Much to my jaw-dropping amazement one of my blog posts has been nominated for a Simple-Talk award in the The most useful technical article published category. If you like my post more than the others I'd be very grateful if you would consider voting for me -- closing date is April 6. Many thanks! If you work in a profession such as IT where there is constant change it is probably no bad thing to understand the thoughts and feelings of fellow professionals working in your chosen area, as this can open up whole new areas of understanding to help you in your day-to-day work. Conferences are typically very good for this sort of thing -- both the sessions that are presented by conference speakers and the networking that goes on with fellow delegates. Conferences usually make a big impact on the training budget though, and that can be the case even if the event is in your country. However if overseas travel is required then this can often completely rule out any chance of attending. So what about alternatives? Most of us probably subscribe to a daily diet of blog posts, podcasts and email newsletters, but none of these approach the ‘dynamic' nature of attending a conference in person. But hey! In these modern times what about an online conference where there is a panel of guests discussing a particular topic? The themes for this episode included pipeline orchestration, treating servers as cattle rather than pets, service orientation and decoupling, and messaging and data management. What I found really interesting was that each panellist often had a completely different take on the theme, typically an angle I hadn't really considered before. At the time of writing there are 27 episodes in this series covering a broad range of topics and each episode features panellists who are able to offer from-the-trenches thinking and commentary about the topic in question. I urge you to check this resource out -- there is some fantastic content! And kudos to Electric Cloud for organising and hosting these community panels -- there's a big effort going on behind the scenes to bring everything together. For those who may not follow Microsoft too closely, the invitees are some of the real movers and shakers at Microsoft at the moment. 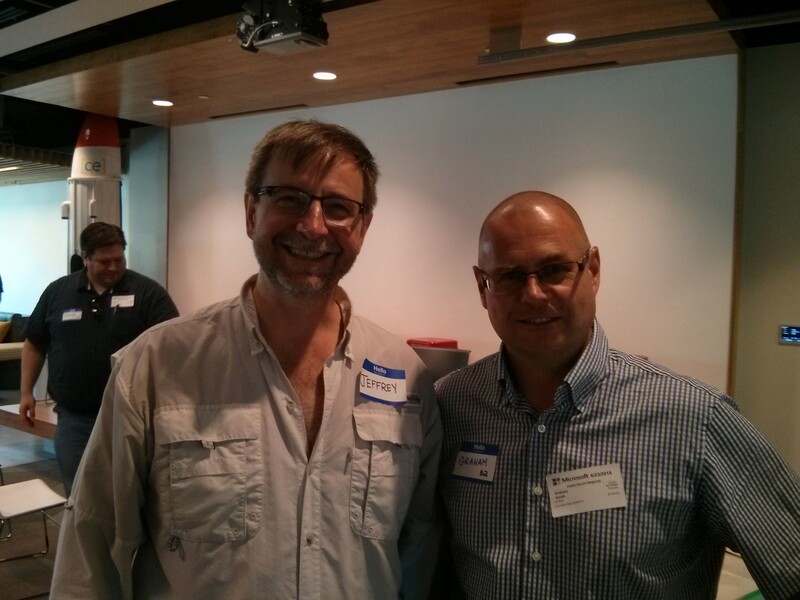 Jeffrey Snover in particular is a Microsoft Distinguished Engineer, Lead Architect for Windows Server and System Center Datacenter and inventor of PowerShell! Unfortunately Jeffrey was busy at the time of the call, however they must have been interested in what I had to say since a week later I received an invite to attend a DevOps workshop at Microsoft's HQ in Redmond, at no cost to me. Blimey! The workshop was held this Tuesday just gone, and since I'm based in the UK it meant flying out to Seattle on Monday, taking part in the workshop on Tuesday and then flying back on Wednesday arriving home Thursday night. Whew! It was a gruelling week but definitely one of the highlights of my professional IT career. The workshop consisted of 15 invited guests -- IT people like me who are using Microsoft technologies in their workplaces to do DevOps-type activities -- and around 20 or more Microsoft employees from the world of Windows Server, Hyper-V, System Center, Azure and PowerShell. 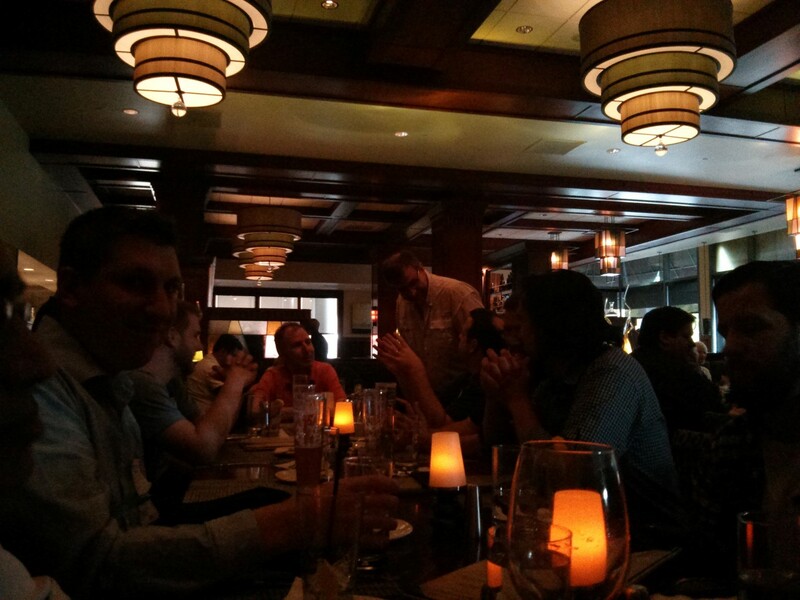 I hadn't heard of everyone since I am mostly in the TFS/.NET/SQL Server space, but familiar names included Brendan Power, Andrew Mason, Srikanth Ranganathan, Sam Guckenheimer, David Tesar, Angel Calvo, Kenneth Hansen and Vlad Joanovic. 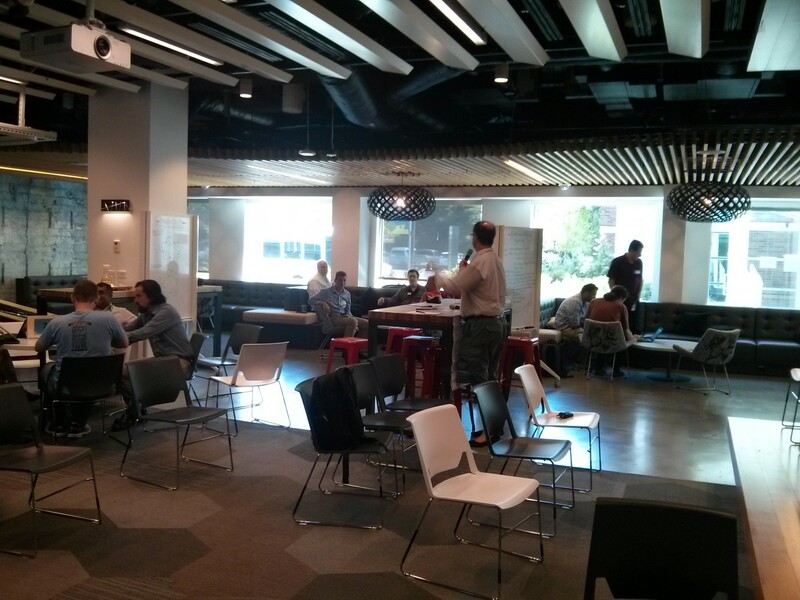 The workshop was facilitated by Jeffrey himself with the overall aim to get feedback on a range of proposals Microsoft is considering for making their tools work better in DevOps scenarios. The Microsoft guys were really great -- avidly listening to our views and opinions and probing to get to the bottom of issues. There was a genuine sense that what we had to say was hugely important to them. As you might expect we were very well looked after at the event hospitality-wise and the day rounded off very nicely with a post-workshop dinner which was great fun. To sum the day up, I came away feeling that it was a real privilege to have been invited and honoured that my views might help shape the way some of the Microsoft tooling evolves. If there was one downside to the trip (apart from finding out my phone's camera is next to useless in dark restaurants) it was that it was so hot in Seattle that I had to have the aircon switched on in my hotel room and I always sleep very badly with the noise it makes. Still, it made for a blog post title that hopefully a few PowerShell folks might find mildly amusing.